There are various reports available throughout the software. 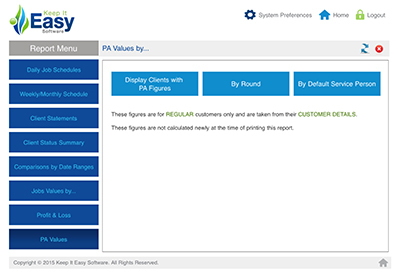 This menu is provided to give you basic reports quickly in one place. 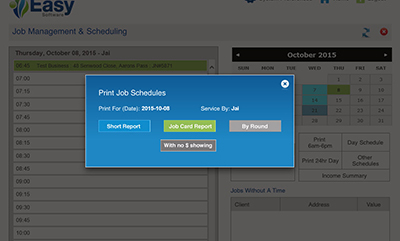 You have a choice of how you print your daily schedules or run sheets. 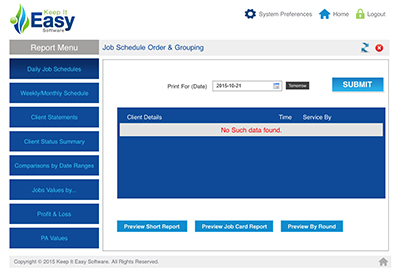 You have the same choices from the job management screen also. There are just too many reports to show you them all here. In the Tutorials section of this website you can download a manual on the reports in the database and how to access them. You can view them all here and we are adding to the list regularly as we get feedback from our valued customers.